The photograph is taken looking east. 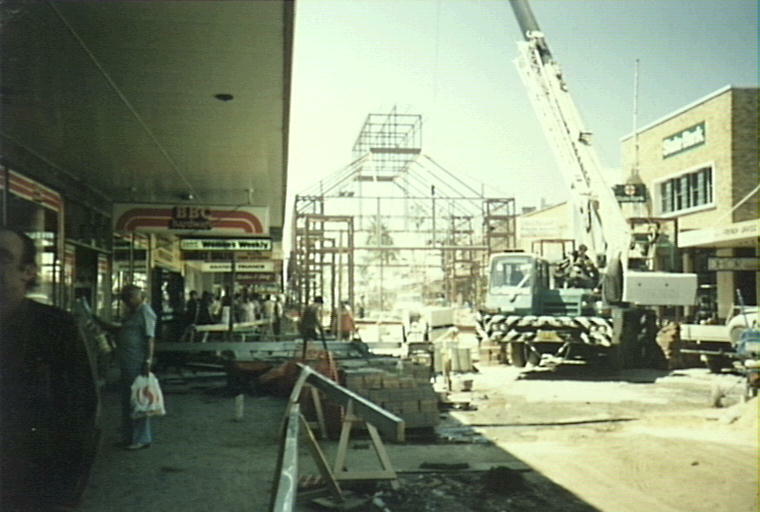 The mall was completed in November 1985 and was demolished ten years later. High Street reopened in September 1996. Photo thanks to Penrith City Council. The photograph is taken looking west. Cram Place can be seen on the left of the photograph. The school children are presumed to be from Penrith High School. Photo thanks to Penrith City Council. The photograph shows the demolition of the O’Farrell’s Bakery building. It was located at 239 High Street and was also known as Avondell which was built by Michael Reid who established Nepean Bakery on the site next door. It was sold to William Walker who leased it to Vincent O’Farrell in June 1938. The bakery became O’Farrell’s Bakery. This photo was taken in the mid 1980’s. Photo thanks to Penrith City Council. 2No shirts on the mall construction site! 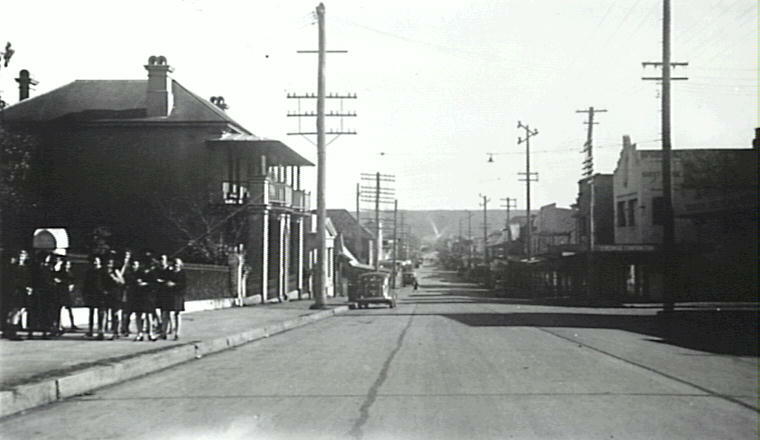 High Street between Woodriff and Station Street was was closed to traffic and converted into a pedestrian mall. It was opened by the Premier of News South Wales, Neville Wran on 16 November 1985. The mall was closed and High Street reopened to traffic in September 1996. 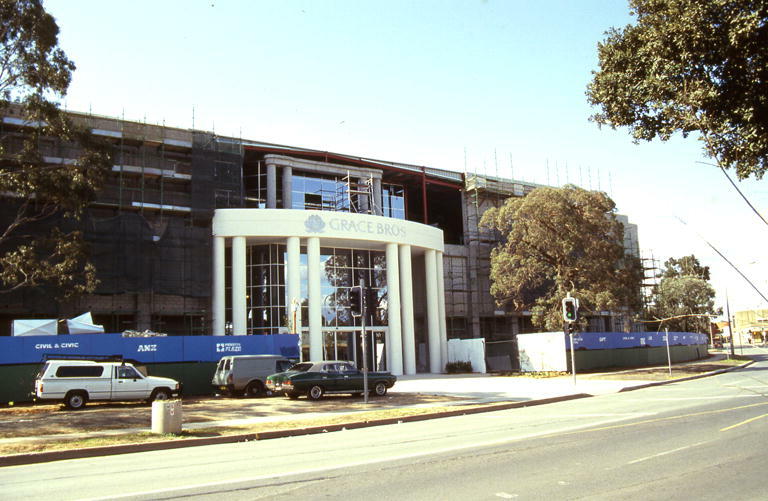 View of new store entrance for Grace Bros. The original plaza was built by the Lend Lease Corporation in 1970 and was opened in 1971. 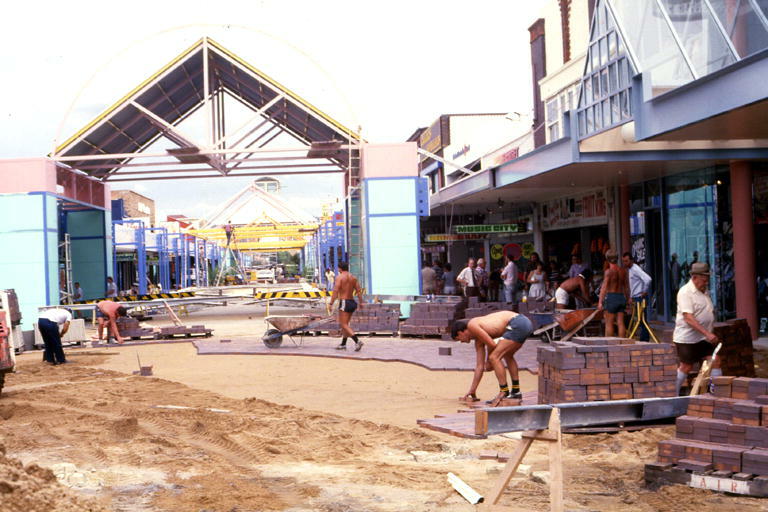 In the late 1980s redevelopment of the centre began. This would create a multi-leveled state-of-the-art shopping centre which would open in stages during 1992 & 1993. In 2004 work began on the extension to the plaza on the eastern side of Riley Street. It was opened in November 2005. 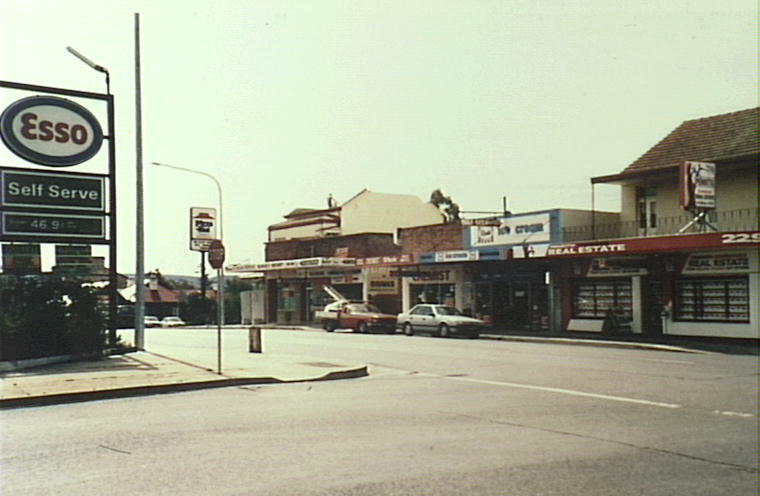 In June 2005 the Penrith Plaza was taken over by Westfield.